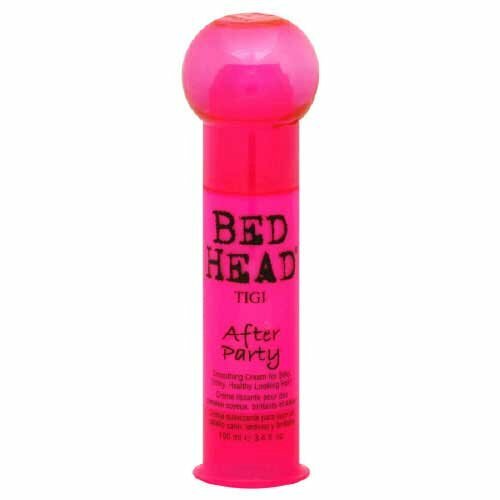 TIGI Bed Head After the Party 3.4 oz. Smoothing Cream for Silky, Shiny, Healthy Looking Hair. Controls funky fly-aways to silk-ify hair. The perfect party favor for our frizz prone friends. Lightweight. Smooth, soft finish. Enhances shine, provides gloss.